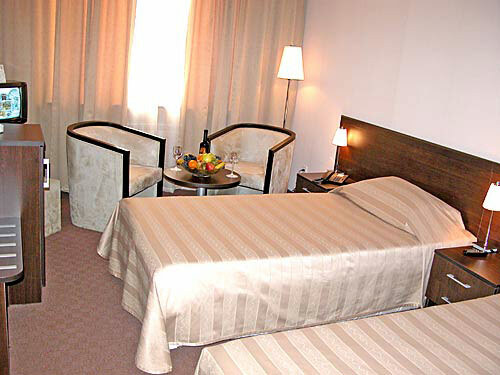 Hotels in Sofia - Rodina Hotel in Sofia. 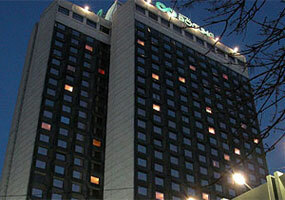 Sofia hotels - Rodina hotel. 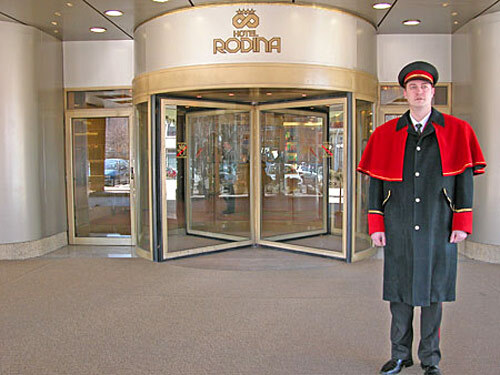 Book Rodina Hotel in Sofia. 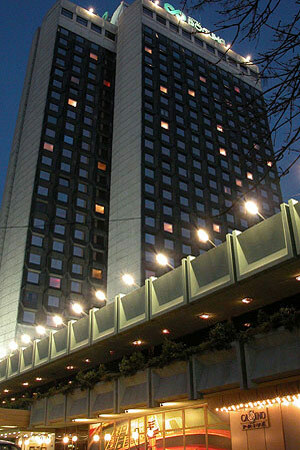 Location: Rodina Hotel is the tallest four-star hotel in Sofia, located on the “Russki Pametnik” (Russian Monument) square. 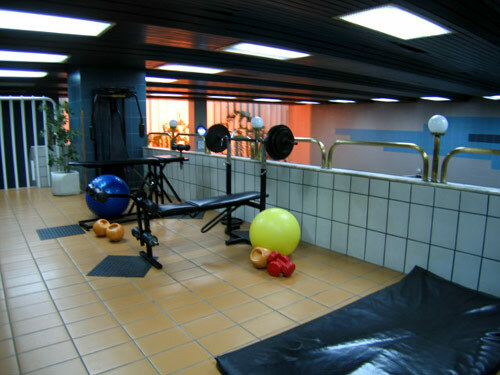 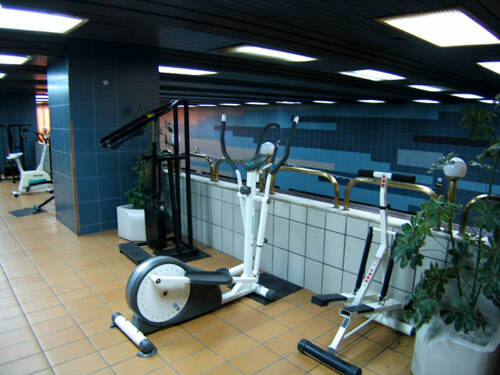 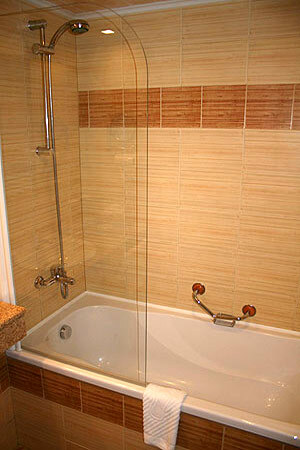 It is in close proximity to the National Palace of Culture, the administrative and business centre of the city. 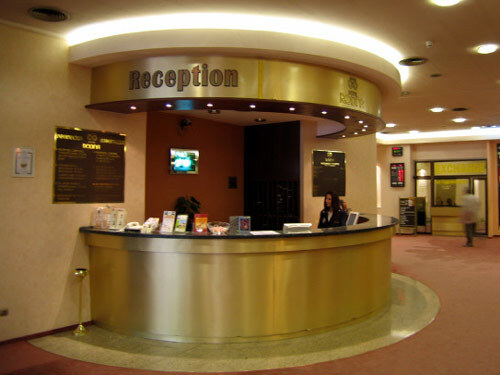 In addition, Sofia’s international airport is located 15 km away, while the Central train station is a kilometer from the Hotel. 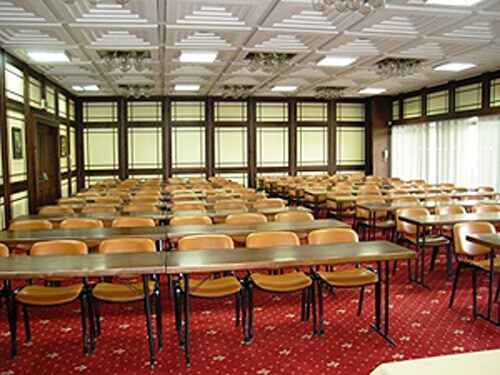 Meeting: The hotel’s Congress centre offers 9 conference rooms to the guest’s disposal, with a capacity ranging from 15 to 350 seats. 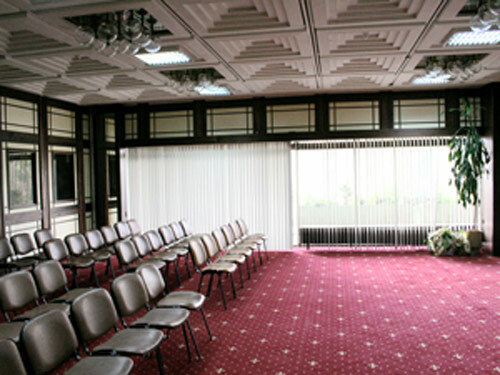 Every room has air conditioning, daylight and the possibility for Internet and technical conference equipment. 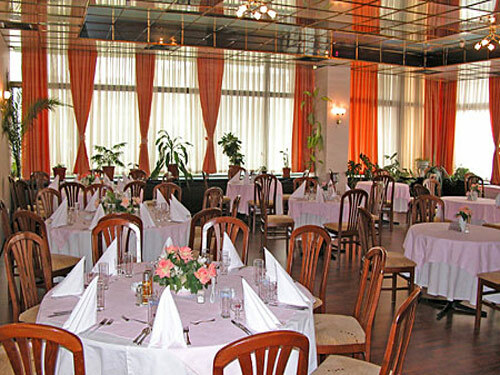 Dining: Rodina Restaurant has a capacity of 180 seats, and is ideal for the organization of a buffet breakfast, coffee break, lunch, dinner, cocktail and even wedding. 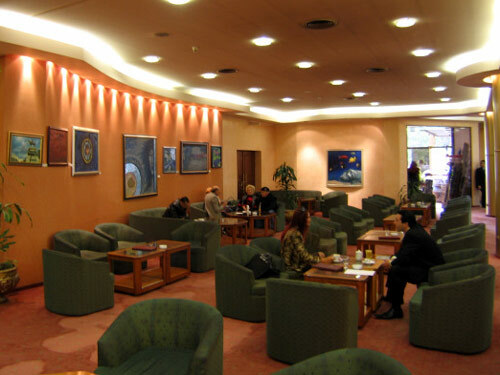 The restaurant possesses a pleasant and comfortable atmosphere, excellent service and a wide variety of cuisine. 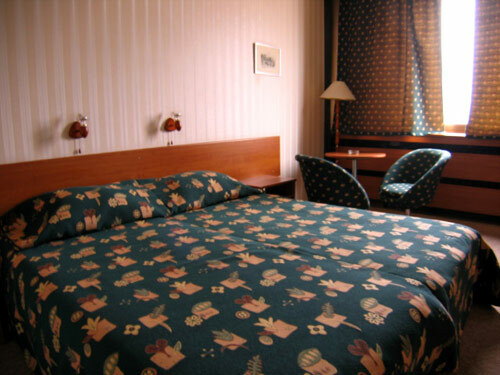 Accommodation: The hotel has 500 single and double rooms and 6 apartments, all of which offer an excellent view of either the city or the “Vitosha” mountains. 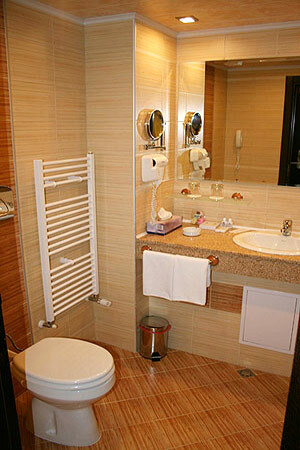 Every room has a separate bathroom with bathtub, telephone, television with satellite and radio, and some of these rooms are for non-smokers. 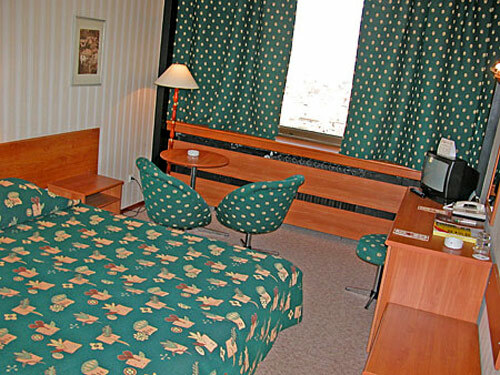 For the comfort of the guests, we offer 24-hour room service, laundry service (including ironing and dry cleaning), guarded regular and underground three levels parking, and many other extras. 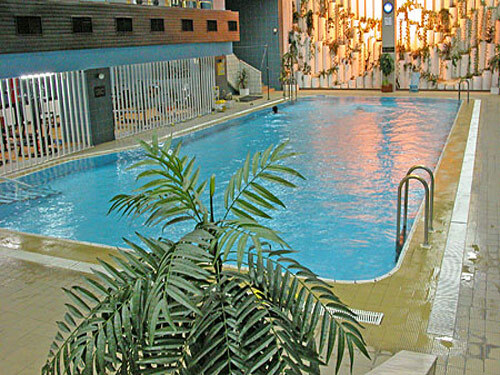 * Please note that all guests of Rodina Hotel made reservation through this web site use for free swimming pool and fitness.